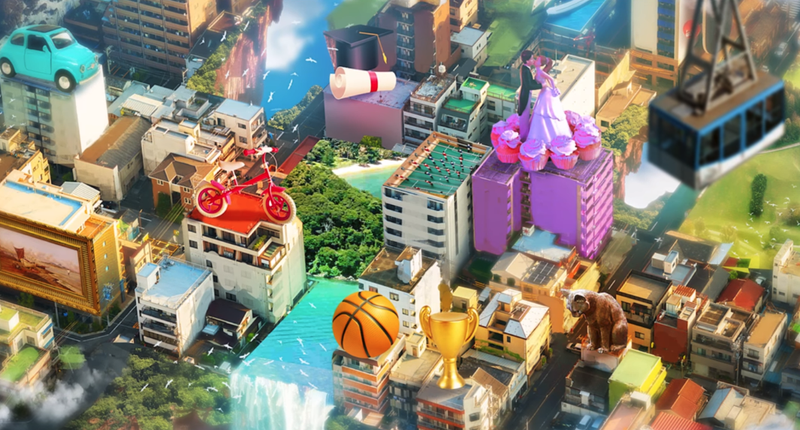 10 years after his last game, designer Will Wright is back with a new project called Proxi, a mobile game where players make entire worlds out of past memories. As one of the creators behind SimCity, The Sims, and Spore, Wright is known for ambitious games that double as science experiments. Proxi appears to be similar, although somewhat more abstract than subjects like city management or biological evolution. According to his announcement video, players will create artificial intelligences modeled after themselves by constructing “mems,” small scenes depicting various events and interactions that will influence how these AIs evolve. Gallium Artists, a small studio founded by Wright and Lauren Elliot, is developing the game, which is planned later this year for phones. “The ‘Mems’ are the building blocks of the larger world, a world the player can organize and sculpt to best represent the landscape of their memories. Imagine the borough of your childhood, an archipelago of embarrassment, an island of wonderful vacations, each reflecting the look and sound of those Mems. Wright is also inviting people who want to join the team and work on the game to apply via an art contest. Prospective developers can recreate three personal memories as environmental scenes using Unity. The studio’s also provided a few examples of their own to illustrate what these prototype mems might look like, including a college dorm room, a fishing trip with a parent, and a small child sitting in front of a glowing TV in a dark room playing an old NES. What the final game will look or play like based on these grandiose ideas is far from clear. Wright has always been an ambitious designer, and sometimes those visions, like HiveMind, don’t pan out as originally intended. As Wight says in the announcement video though, this one is more about players’ simple self-discovery than anything else. Hopefully whatever that journey turns out to be stops short of going full Black Mirror.